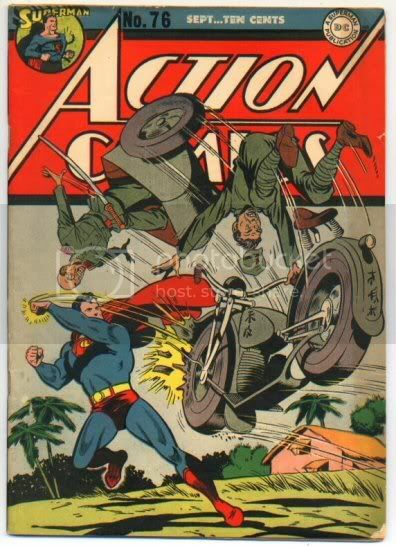 Here's another Action war cover going into the collection. On a message board, someone wrote that this seems like an inefficient way for Superman to fight the Japanese. Bear in mind, at this time, Superman only had super strength (and he was bullet proof.) He could also leap great distances, but that was about it. It was later that writers endowed him with powers like heat vision... which of course, would have allowed him to wipe out the entire Japanese army fairly quickly.